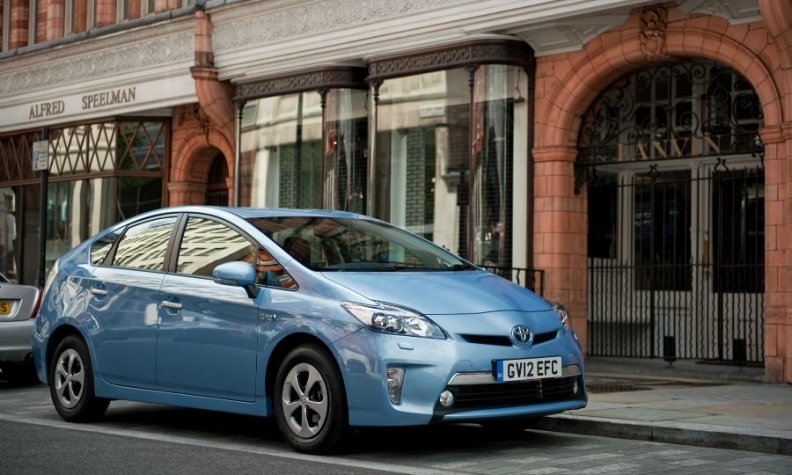 Toyota is recalling some older Prius cars. A 2014 Prius Plus model is shown. TOKYO (Reuters) -- Toyota Motor Corp. said today it would recall about 625,000 Prius hybrids globally to fix a software glitch that could, in limited cases, shut down the hybrid system while the car is being driven. Models affected include some Prius minivans that are known as the Prius Plus in Europe, the Prius v in the U.S. and the Prius alpha in other markets. The recall affects cars produced between May 2010 and November 2014, the automaker said. About 340,000 vehicles are in Japan, 160,000 in Europe, and 120,000 in North America, Toyota said, adding there had been no reports of crashes or injuries.